Home Toolkit Top Tips What is a Technical Drawing in Fashion Design? What is a Technical Drawing in Fashion Design? 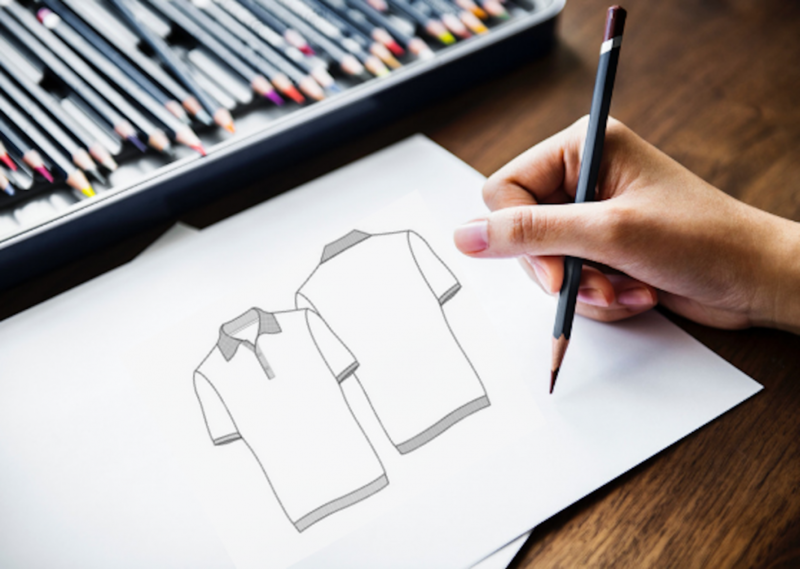 One of the essential requirements for creating garments or accessories when going into manufacturing is to provide factories with a “Technical Drawing”. Or often referred to as “flat drawing”. Whether you are a designer working in the fashion industry who has some ability in fashion sketching or a newcomer with moderate drawing skills, fashion sketches are great for relaying an impression of your design ideas. They look lovely in a sketchbook and portfolio. Should you choose to take these designs to the next level and have patterns made, followed by samples and production, your beautiful sketch will be useless. For the people responsible to turn your idea into a finished, fit for purpose product, they need detailed clear drawings so they can produce your vision accurately. So let’s break it down and have a look at what is a technical drawing are, why they’re important, where and how they’re used and how to draw them. 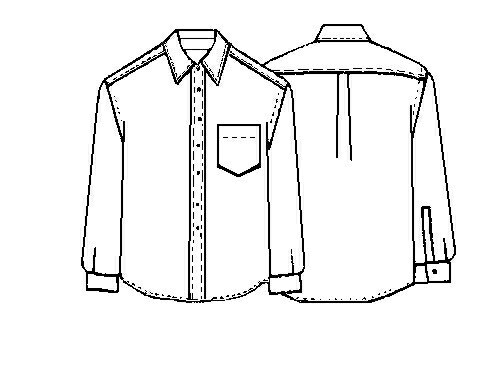 Flat technical drawing of a front and back men’s shirt. Technical drawings are a fundamental necessity for a designer trying to relay their design blueprint. In the fashion industry, where the product must be made accurately, you’d be hard pressed to find a pattern cutter who would work with you without them as the design sketch can sometimes lead to inaccurate proportions. Simply put, they’re a two-dimensional linear, diagrammatical rendition of your designs drawn in solid line, depicting as much detail as possible. They are the graphic, clearly drawn an explanation of the product, showing all the construction details, such as seams, darts, pockets, fastenings and topstitching. No figure is represented in these drawings but they are drawn to scale with no indication of texture, colour or form. Often referred to as “flat drawings” or simply “flats” the name is derived from the fact that they resemble a garment laid flat on a flat surface and sketched. It is expected and customary when you draw these technical drawings to do a front and back views of your product at a minimum. But if you are creating a complicated garment or you’re developing bags, shoes or jewellery, additional views will need to be provided to ensure that your products are re-created from the drawing as you’ve designed them. Once you begin to create technical drawings you may find that your designs change slightly when compared to the original design sketch. The technical drawing allows you to keep design lines and details in real size as the drawings are presented with correct body proportions. This is useful to create balance and harmony and also allows you to see how the item will look once it has been produced. Additionally, a technical drawing can be used as a template if drawn by hand and scanned into the computer or if rendered in Adobe Illustrator, for adding colour and texture ideas. Technical drawings are an important component to aid the conversion of your design sketch into a usable product. Your pattern cutters will need these drawings in order to create a pattern that fits well on the body, is in proportion and is balanced, and is aesthetically pleasing. Technical drawings form part of your tech pack and specification sheets and need incredible amounts of detail on them to enable the factory to make what you need. Technical drawings can also be used on line sheets when showing your products to shops. They’re useful for representing a simple, graphic rendition of your product and this enables the buyer to really see the detail. Technical drawings are usually produced by hand using either a retractable pencil with fine leads or black fine liner pens. Illustrate different components of the same drawing by using different widths of a fine liner. For example, a 0.8mm thick pen can be used for all of the seam lines, darts and details and a 0.3mm thick pen can then be used to indicate all of the topstitching, buttons and fastenings. A great way to create a technical drawing by hand is to use thin or tracing paper, draw a line down the centre and draw one side of the product. Fold the paper in half and draw the reflection by tracing the original drawing. This should then be placed on a flat, light surface or a lightbox, if you have one, and drawn onto paper. Scan onto your computer and use to create your specs, tech packs and other materials. Acquaint yourself with the Adobe Suite CAD (computer-aided design) programme, in particular, Illustrator which is the fashion industry programme of choice (and you can easily sign up for a FREE trial online and try it out). With it, you can create your vector sketches with clear details that work for all of your requirements. Vector graphics use 2D point located polygons to represent images in computer graphics. Each of these points has a definite position on the x- and y-axes of the work plane and determines the direction of the path; further, each path may be assigned various attributes, including such values as stroke colour, shape, curve, thickness, and fill. Vector graphics are commonly found today in the SVG, EPS and PDF graphic file formats and are completely different than the more common raster graphics file formats of JPEG, PNG and MPEG4. By developing vector sketches you’ll be able to modify them whenever you need to and create new styles. Drawing a complicated style will take a lot of time. However, creating an accurate sketch will serve you well and allow the viewer to immediately understand what information you’re trying to impart. Skillshare is a great resource to use for learning the basics. You could consider signing yourself up to a course to learn the basics. Lastly, if you want to learn and master drawing technical drawings by yourself, there are plenty of great books that can be found online or in all main bookstores. 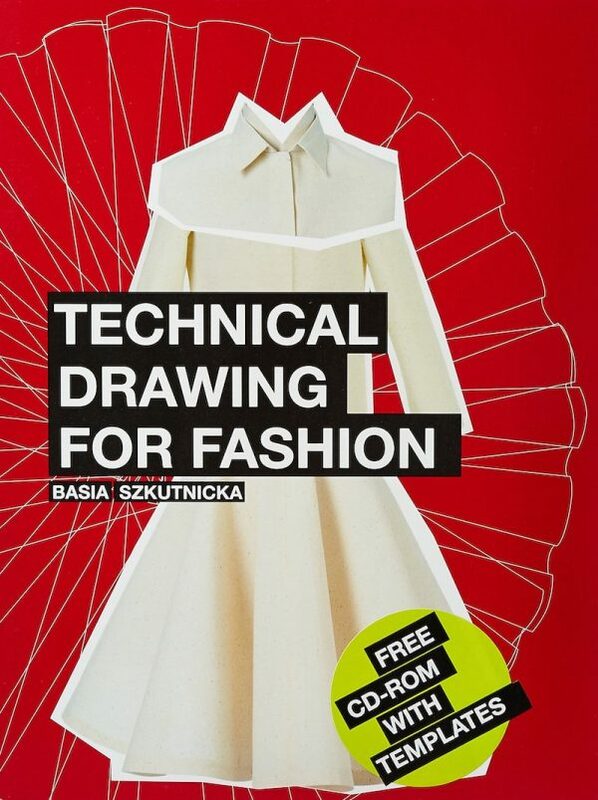 By far one of the best and most comprehensive detailed books on the matter is “Technical Drawing for Fashion” by Basia Szkutnicka available on Amazon Uk here and internationally here. 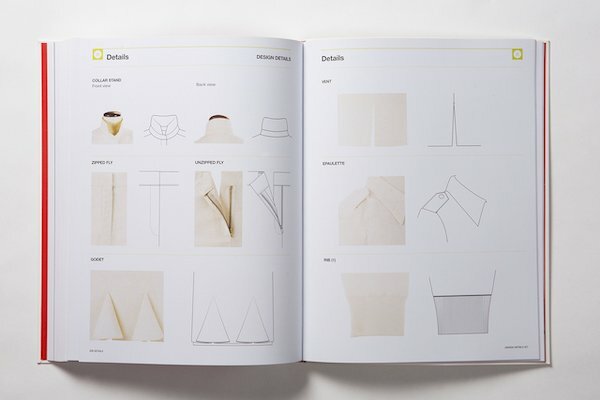 The book also comes with templates that can be used and re-used and adapted to suit your ideas. Add as much detail to your drawings as possible as omitting parts of the sketch will only make your job harder in the long term when explaining the design to your team. Include every seam, stitch, dart and fastening. A solid line on a garment represents a seam line. A dashed line represents stitching. Draw every detail if you’re creating custom embroidery, print or beading. Develop detailed templates that show the inside of the garment or product that refer to label placement, inside pockets and anything else that could get lost in translation. Garment sketches should have a front and back view. Also, include additional sketches of the garments functionality. Accessories require a front, back, side, top, bottom and ¾ view. Keep your sketches simple and devoid of movement or shading as it can be distracting. Always provide a clear representation of your designs by rendering them in black and white. If you have questions about technical drawings or need help with it then do comment below.